I could really use some advice. 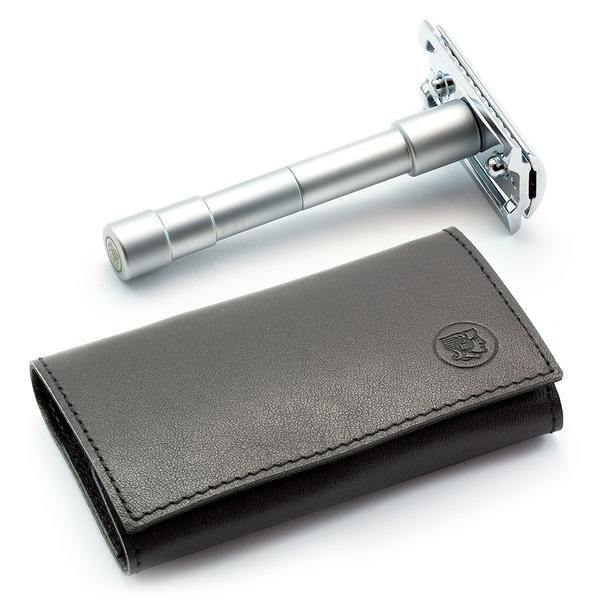 I'm looking for a very lightweight DE razor for travel. I wasn't sure that I'd be able to find something like what I was hoping for but tonight finally stumbled upon the Merkur Bakelite (45 & 30... Are they actually different? ), the Phoenix Bakelite, and I've seen a couple of other names mentioned (Neillite Lady's razor, and a Slant Bakelite, too, I think). I'm no DE expert. I've been using my Feather DE for over 5 years now and I love it. I stumbled upon a razor I liked first try with that one and never felt the need - and honestly couldn't justify moving on to something else since this works so well. But I'm looking for something even lighter & more compact for travel since the butterfly style doesn't fold down as much as I'd like. I'm obviously already used to a relatively lightweight razor (at least in comparison to many full metal models) but I don't know what to expect from the Bakelite models. As a female, I'm shaving legs & underarms. Since I've only ever used my Feather (& borrowed my hubby's Merkur a couple of times) I simply have no idea about how these models will work for me, or if one is much better (or worse) than another. I'm especially curious about the "open comb" on the Phoenix Bakelite with the Slant design. Do you think I'd find this particularly more difficult to use then, say, the Merkur or would it perhaps be better with the open comb design allowing a larger volume of hair to be cut? Or do I have it completely wrong how an open comb design works? Is one of these better for a larger area like legs more than another? Or is there yet another model like either of these that you might recommend that I don't yet know about? Is there anything you could share about any of these that might help me choose the best one for me? I have to admit that even though the Phoenix intrigued me, I was initially leaning against it simply due to my own lack of knowledge. But after reading Tony's excellent article about the Slant design, I have to admit, I'm rather intrigued and considering it strongly. I'm just curious if there are any reasons why it might not be a good choice. Thank you so much in advance! I really appreciate your help. To my knowledge the Merkur 30 isn't made out of bakelite - but the 45 is an awesome lightweight razor. The white Bakelite Slant that is floating around is pretty awesome as well, but hard to find these days. 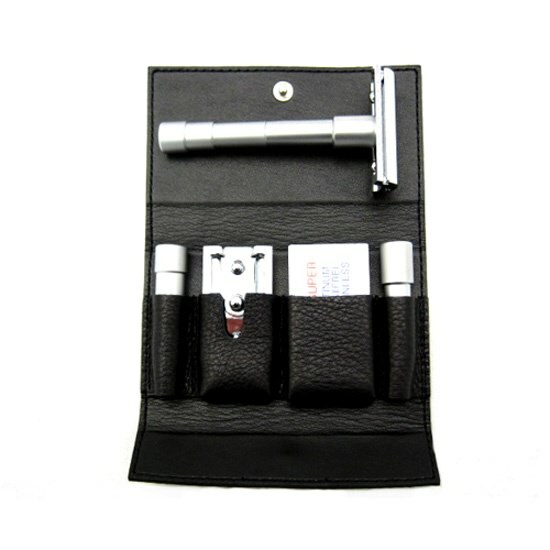 If size and weight is a major issue for you, you might want to look into a dedicated travel razor like the Merkur 985CL - an open comb razor that fits in a tiny pouch. Consider the Phoenix Alpha Ecliptic in bakelite. A truly terrific razor, and very lightweight. Yes, 45 bakelite is a nice razor! The Phoenix Alpha Ecliptic Bakelite is a very good shaver. Better than the Merkur 45 or 37, IMHO. And it's under $25 shipped. I like the Merkur 42C for travel.